A few years ago, vampires and werewolves were all the rage in my library. Then, we had a short zombie craze. Then, it was dystopias, which had a great run and are still pretty popular. This year though, I am seeing my students' reading preferences shift away from speculative fiction and toward Realistic Fiction. Graphic novels like Raina Telgemeier's Smile, Jennifer Holm's Sunny Side Up, and Svetlana Chmakova's Awkward are crazy-popular here. We've also seen a spike in interest in Realistic Fiction novels. Holly Sloan's Counting By Sevens, Rebecca Stead's Goodbye Stranger, and Lynda Mulally Hunt's Fish in a Tree are hardly ever "in" in my library. The Realist is Dawn. Despite her dyslexia, Dawn loved reading, especially serious stories about athletic girls. She loved books like Boost and Catching Jordan and The Running Dream. Dawn had a quiet strength that was eclipsed at times by her lack of confidence in her reading abilities. She studied hard but worked slowly, which gave her anxiety about her grades. She was well-liked in the school, both by students and teachers, but I never saw her socializing with her peers beyond being polite. I don't think I ever saw a student who worked harder than Dawn, and I have no doubt she will find lots of success in her life. When I think of Dawn, I think of the words Deliberate and Pensive. The Realist is Karen. Unlike Dawn, Karen was quite social. Counting By Sevens, Wonder, and How to Steal a Dog were among her favorite books. I don't picture Karen without a smile on her face. She was a happy girl who seemed to embrace life, even though she did ask for "sad books" quite regularly. I guess she needed something to bring her down? The Realist is Arturo. Arturo was a tall, physically large boy who worked in my library. He was supremely polite and always was great about helping me move heavy stuff or get things down from high shelves. He didn't do so well in school, but that never made sense to me because he was so street-smart. He lived in a rough neighborhood with his older brothers; I never heard him talk about parents. Arturo said he didn't like to read much, but I remember when we got the book Messed Up, Arturo devoured it. He also loved The Outsiders and the Bluford High series. 1. Understand the importance of bibliotherapy. Bibliotherapy is using books to help cope with problems in a student's social, mental, physical, developmental, or emotional life. For example, if a student is cutting as a form of self-harm, reading a book about another student who is also a cutter could help them find positive ways to handle the situation. Chances are, they do not understand why they feel the urge to cut, and they feel embarrassed or unsure about talking about it. As a result, they may feel as if they are "the only one" who cuts and that no one else could possibly understand. Reading about someone like themselves helps students feel less alone, and they can see how someone else in a similar situation handled it. Sometimes, that character may handle it badly, which results in negative consequences. Other times, the character may discover something positive that can help them with the issue. Either way, the reader feels less alone (always a good thing) and gets to experience some possible options of ways to deal with it. They can see negative consequences that come from some actions as well, giving them the chance to think about possible outcomes. 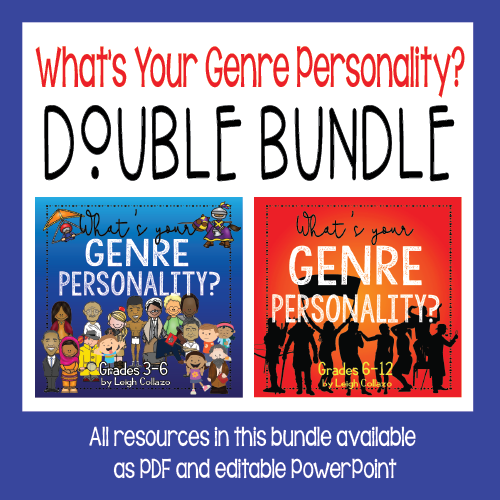 This may also help the student open up about the problem and give parents, teachers, counselors, and caregivers a springboard to discuss and work through the tough issues. 2. Let them read about difficult problems teen face. I've seen a lot of parents worry about their child's involvement in serious activity based on what books their teen or child is reading. 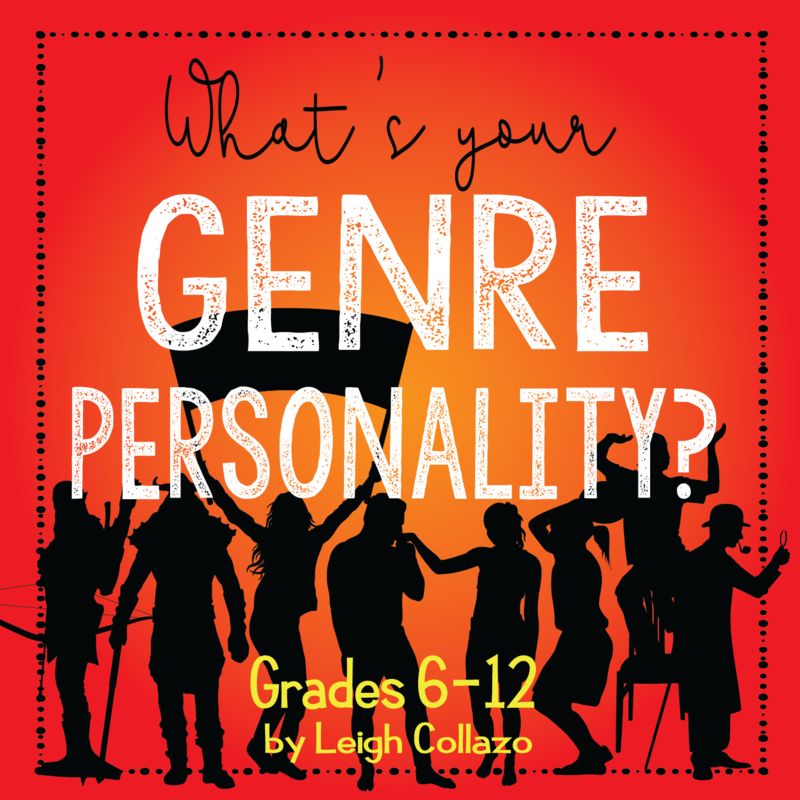 While the books they read can be an indicator of a real-life problem, it does not have to be. I once had a teacher who was "shocked" that I had books that reference self-harm (a.k.a. cutting, suicide) in my middle school library. But I know of at least two cases of students in my school who were cutters. And those are the ones I know of. I've also seen far too many book challenges over tough issues like teen pregnancy, online relationships, relationships with teachers or coaches, GLBTs, and teen alcohol use. I'm sorry to say that these are all issues that today's teens face, even in middle school. Of course, we want to protect our teens from these "real" issues, but honestly, we cannot seal them inside a plastic bubble forever. Instead of insisting we remove these tough topics from our libraries, we should talk to our teens about what they are reading. Is there a reason a particular student is interested in books about self-harm? Maybe. Or maybe not. You won't know anything without an honest conversation. 3. Talk to them on a real and honest level. 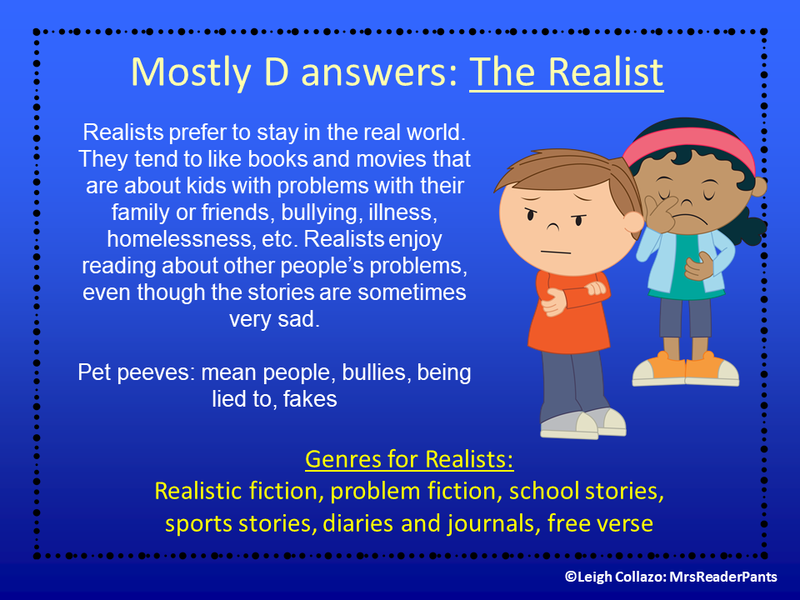 Realists want to read and know more about the real world. 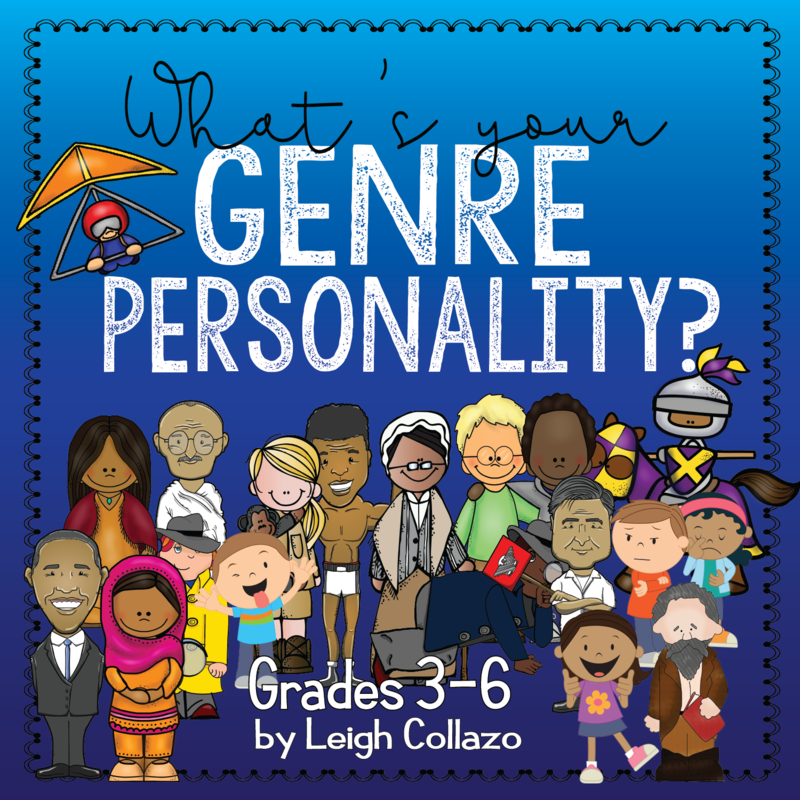 They want to read books that mirror their own lives or the lives of people they know. They want to know about what dilemmas their peers face, both in books and in real life. 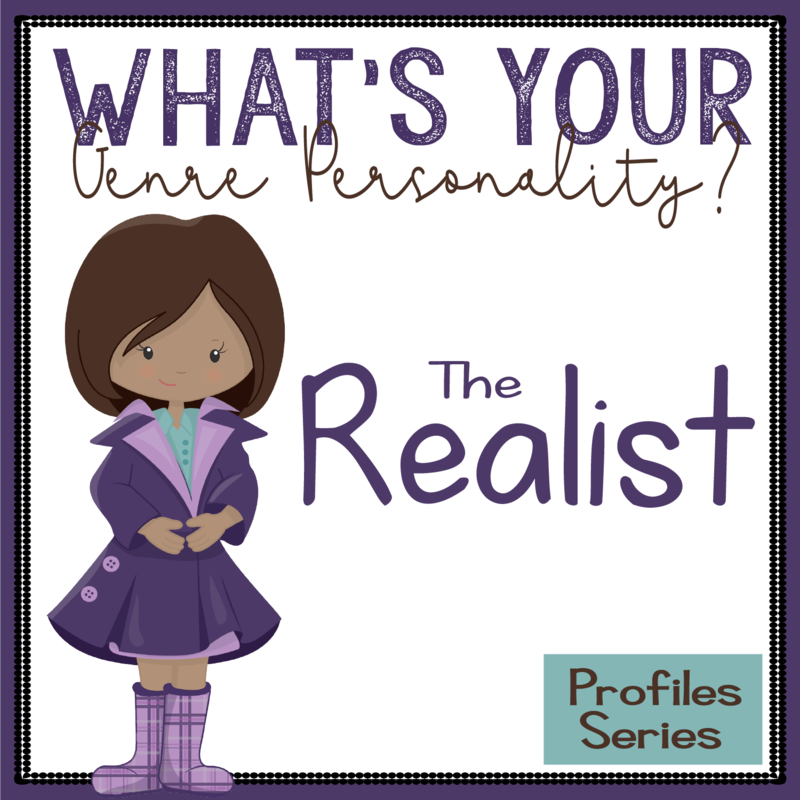 Realists are just that: real. Parents and teachers should recognize that and be straight with them. Realists can see through your attempts to "soften" things. It's not helpful for them; it's patronizing. Parents and teachers of Realists should just tell them like it is. Do not beat about the bush or try to make a situation less "real" than it is. Realists need to talk about their lives, worries, and thoughts with truthful adults who listen calmly and don't judge or freak out about certain topics. Attempts to avoid or lessen difficult topics will only push your Realist away. Be real. Be honest. Be open. Fiction circulation in your library?